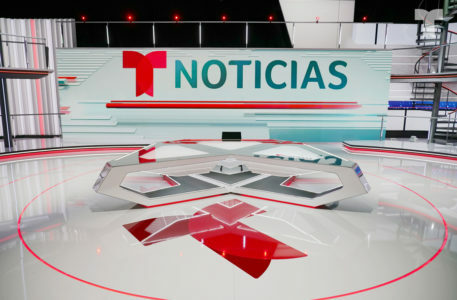 In a bit of storytelling irony, “Noticias Telemundo” used its new studio’s video wall to showcase another wall — the controversial Mexico border wall supported by Donald Trump. 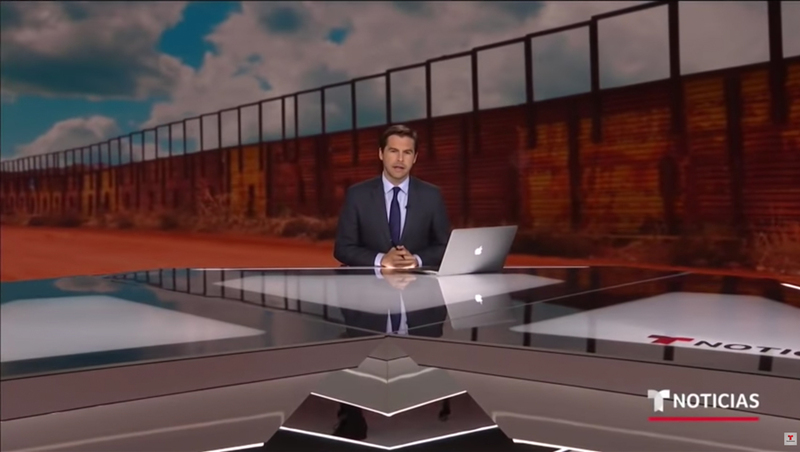 The broadcast’s new 3,700-square foot studio, which debuted June 4, 2018, features a massive 36-foot wide video wall, which was used to showcase a stylized border wall image with animated cloudscape in a dramatic wide shot introducing a story on the topic Tuesday, June 12. Telemundo, as a U.S.-based Spanish language network, reaches a demographic more likely to have ties to Mexico.